Bajzak, C E, Hammill, M O, Stenson, G B, Prinsenberg, S. (2011). Drifting away: Implications of changes in ice conditions for a pack-ice-breeding phocid, the harp seal (pagophilus groenlandicus). Canadian Journal of Zoology, 89(11), 1050-1062. Denison, D.M., Kooyman, G.L. (1973). The structure and function of the small airways in pinniped and sea otter lungs, Respiration Physiology, 17, 1, 1-10. Lawson, J.W., Anderson, J.T., Dalley, E.L. and Stenson, G.B. (1998). 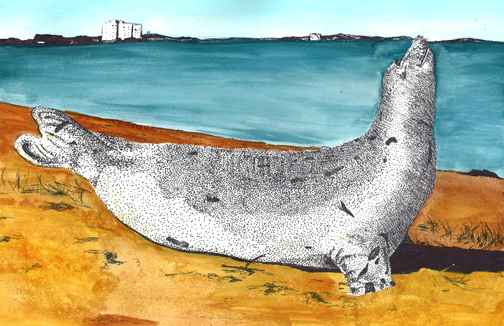 Selective foraging by harp seals Phoca groenlandica in nearshore and offshore waters of Newfoundland, 1993 and 1994. Marine Ecology Progress Series Vol. 163:1-10. Miller, Natalie J., Postle, Anthony D., Orgeig, Sandra, Koster, Grielof , Daniels, Christopher B. (2006). The composition of pulmonary surfactant from diving mammals, Respiratory Physiology & Neurobiology, 152, 2, 152-168. 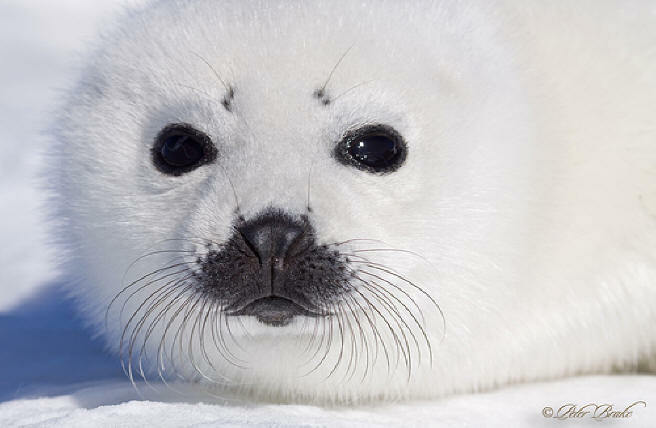 /harp-seal/ > Accessed 6 March 2012.